Feed Me Vegan is here to smash any negative misconceptions about vegan diets and will show you just how diverse and delicious vegan food can be. Inside you’ll learn how to whip up vegan burgers that a meat-eater would be happy to wolf down, craft the perfect vegan macaroni and cheese for cold winter nights – you’ll even discover decadent dairy-free cakes and desserts that will satisfy any sweet tooth. 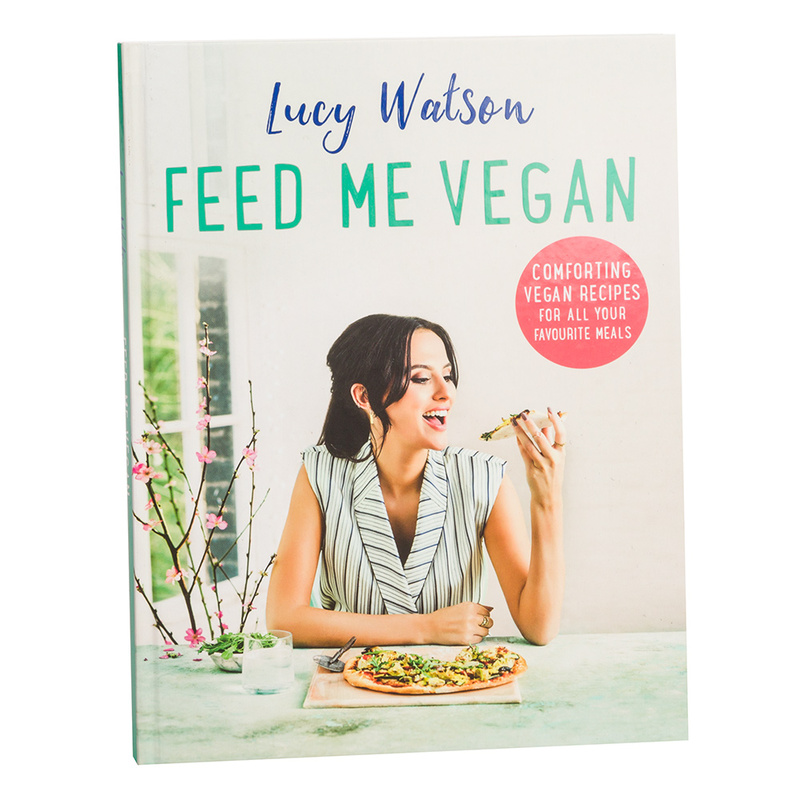 Written by Lucy Watson, you’ll uncover quick and easy ways of making your favourite meals guilt-free, without any of those ‘sacrifices’ that people dread when becoming vegan. Filled with delicious and diverse vegan dishes. Recipes are divided into chapters – Feed Me Breakfast, Feed Me Quickly, Feed Me Feasts, Feed Me Sweet Treats, Feed Me Cake and Feed Me Snacks & Sides. Stunning photography throughout by Mike English. Opens with an introduction penned by Watson, as well as a guide to storing your cupboards with vegan ingredients. Includes a full index and acknowledgements at the back of the book. Dimensions: 19.5cm (l) x 25cm (h) x 1.7cm (w).